How do you get corporate sponsors for your major gala? How do you grow small donors into larger donors? What's the best way to figure out what your members really want? 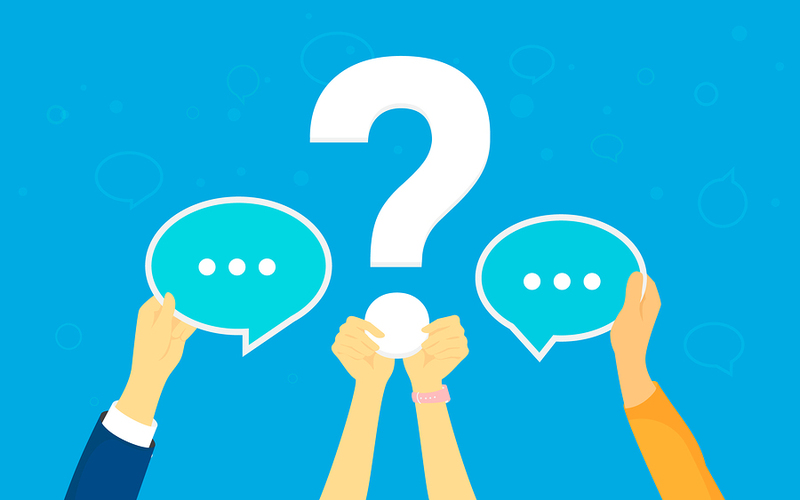 These are some of the questions asked by people who attended our recent expert webinar with Elizabeth Engel and Sohini Baliga, who showed you three key growth strategies you can steal from top fundraisers. We didn't get the chance to answer those questions during the Q&A period, but today, Elizabeth Engel (EWE) tackles in this blog post. Q) How can wildlife conservation related organizations tap into millenials if we are asking them to be a hero for another species? EWE: This provides a great opportunity to tell a story of an endangered animal (or species or wild place) in a way that’s compelling and, in that story, explain how your donor/member can be the hero who saves that animal (or species or wild place) by her donation. Q) What if your membership is a low fee like $25/year? EWE: Well, at least you’ll probably never hear the objection: “Dues were too expensive”! Seriously, though, that hopefully means you have a lot of people in your membership file. The trick now is to start looking for the ones who do more than just pay their $25 a year – or who want to do more than that. Q) How have you had best success at gathering stories from members/donors? EWE: Talk to them. That can be individual and formal (like a phone interview), group and formal (like a focus group), or individual and informal (like a conversation at an event). Pay attention to when he starts talking faster, or a little louder, or in a higher pitch. Watch for when her eyes light up and her face gets more animated. That means you’ve struck gold – you’ve discovered something that member is passionate about. Then it’s your job to look for ways that member’s passions tie to your organization’s mission, and explain to her how involvement in your organization will make a difference to that issue she’s passionate about. Q) We are a membership association of cause-oriented organizations. But we don't have a cause ourselves. Will there be materials in this webinar that will help me? EWE: Sohini and I would like to think so. When you’re a federation of organizations, it can be hard to make that direct, personal tie with people. I’m about to use an example that’s a bit politically charged, so stick with me. In the aftermath of the 2016 election, Democratic candidate Hillary Clinton founded an organization called Onward Together. It uses her high profile and large audience to raise money for small, scrappy nonprofits that are doing excellent work, but that may lack the audience base to effectively raise money themselves. Can you highlight the stories of the organizations you serve? Q) We are thinking about doing a major gala. What is the best way to get corporate table sponsorships if you don't know people within the individual businesses? SB: The first thing to consider is that corporations look at the bottom line, and want bragging rights – it makes them look good. Now, put yourself in a corporation’s position. You’re not just spending money because it feels good – you have to pay employees and benefits, investors and backers want to see returns on their investment, and you need to be able to stand behind your spending decisions. All of them. So what’s going to make you give? What’s going to make you say, “Sure, I’ve got bills, but you can not only have a big chunk of change, you can put my name up in lights so others come asking me for the same thing”? What will make you say yes? What will make it hard for you to say no? Therein lies your answer – make your best case; make the story of the gala compelling; make it really hard to say no. Make them an offer they can’t refuse. This is where I will say that nonprofits should not skimp on fundraising staff and professional executive development. A good, connected development officer is worth every penny of salary. And it is their job to make those sponsorships happen in tandem with a board and executive staff that is not shy, and can make the ask clearly, comfortably, and elegantly. There are grants available for hiring fundraising staff and professional development at all levels of the nonprofit world. The bigger the budget, the more they exist – because everyone understands that you have to support staff so they can do their best. It’s not a perk; it’s an investment that allows nonprofits to continue growing and serving their core mission. Q) What is the best way to get feedback from members? Surveys at events, letters, or…? EWE: Yes. You want to turn your organization into a sponge for information. That means you want to collect data on your members and other audiences formally (like surveys and interviews) and informally (like conversations and responses to emails). You want to collect it actively (asking people to answer questions) and passively (paying attention to what they do and tracking what behaviors you can, without turning into Big Brother and creeping people out).Collecting the data is only the first step, though. You also have to share it with your colleagues. You’d be amazed at what your “line” staff in customer service knows that you don’t know, because they talk to your stakeholders all the time. Likewise, you’d be amazed at the insights your newer or more junior staff might have into some of your “C-suite” information, because they have a fresh perspective and aren’t jaded by “we’ve always done it this way” and “we tried that five years ago, and it didn’t work.” No information hoarding!I have a large number of small dollar donors that I want to cultivate to be higher donors. I would like to meet with them to know them better. How should I go about doing that? EWE: Ask them. I am a donor to Woolly Mammoth Theatre Company (one of our case studies). My relationship with them started by going to one show. I liked it, so I went to more. I liked them, so I became a season subscriber. I realized I supported their mission, so I started donating. Now I’m donating much more, on an annual basis, than I was then. The Woolly development staff started building that relationship by calling me up to ask if I would like to meet for coffee. Q) Any suggestions on where to start with an all-volunteer organization? EWE: It’s tough when you have no paid staff. Sustained projects, like fancy integrated multi-channel campaigns, are really hard to do. You need to assess what, for your organization, would constitute low-hanging fruit. Can you easily identify who your super-members are? Can each volunteer take responsibility for calling one of them in the next two weeks? Do you have young people in your volunteer base? Can you get them talking about what sorts of engagement activities they would find appealing? Does your organization have a compelling story, where it’s easy to frame the member as the hero? Could you send out one email that does that? Figure out what the easy thing is, do it, (hopefully) experience some success and learn some things, and build from there. If you want to learn more about the strategies worth stealing from top fundraisers, please watch the free on-demand webinar with Elizabeth Engel and Sohini Baliga: "Steal These Ideas: 3 Growth Strategies From Top Fundraisers."